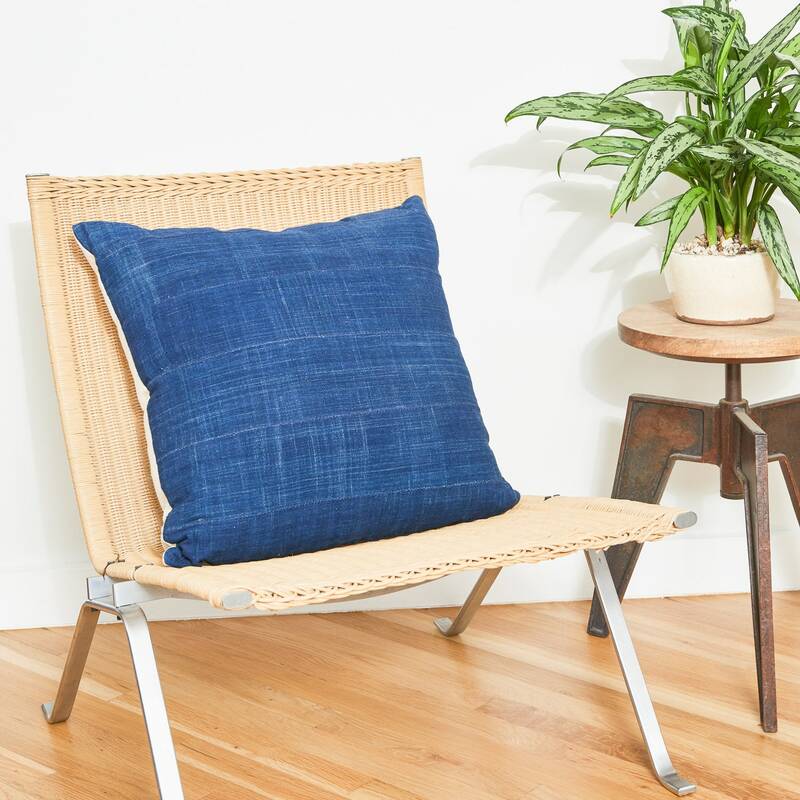 These pillow covers are made using vintage indigo-dyed cloth. The back is 100% unbleached cotton in a natural color. Invisible zipper closure along the bottom. Strips of vintage cloth are hand-stitched together, and have been lined for stability. Please note that the hand-dyed and hand-stitched fabric on the face is subject to imperfections that make each piece unique.